Offering exceptional performance, Acuvue Oasys 1-Day with HydraLuxe contact lenses by Johnson & Johnson are the perfect daily disposable lenses. Made with a highly breathable silicone hydrogel material and exclusive HydraLuxe technology, these premium lenses provide a high level of comfort and visual acuity. The design allows a welcome supply of oxygen into the eye, while working with your natural tear film to keep your eyes refreshed and clear all day long. 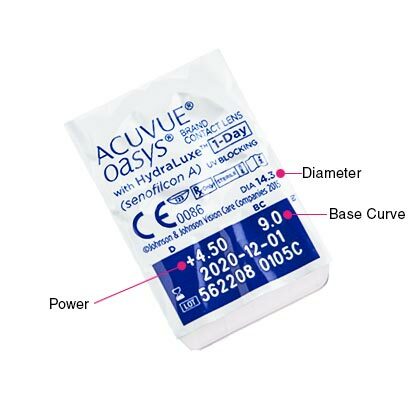 These Acuvue Oasys 1-Day with HydraLuxe contacts are able to stand up to the demands of prolonged screen use and air conditioning, as well as a number of other factors that could cause dry eyes. 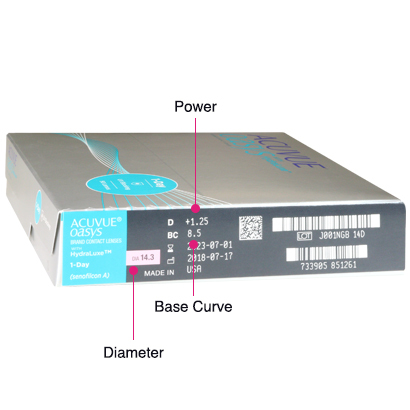 As part of the best-selling Acuvue range, these daily contacts assure the highest level of UV protection, with a visibility tint and 1-2-3 indicator for easy handling and application. Enjoy total convenience with these daily disposable lenses, as you can simply dispose of them before bed after a full day’s wear. You won’t have to take time in maintaining these lenses, as they don’t require any cleaning or storing routine, so you can just apply a fresh new pair of lenses the next morning. 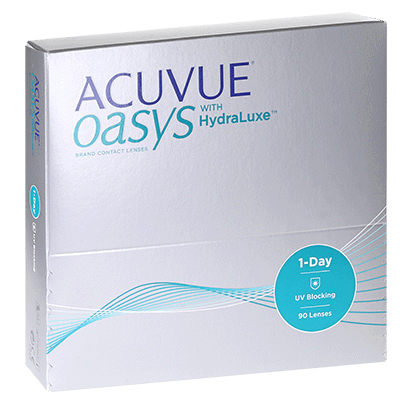 Acuvue Oasys 1-Day with HydraLuxe contact lenses is available in this 90-pack edition for great value for money, or discover a smaller 30-pack when you buy online at FeelGoodContacts.com. Always use these lenses - never had any problems with them and they are comfortable to wear for extended period. Have tried cheaper alternatives but don’t find them as comfortable.